A service for children 4-8 years old with asthma to develop their self-management skills. 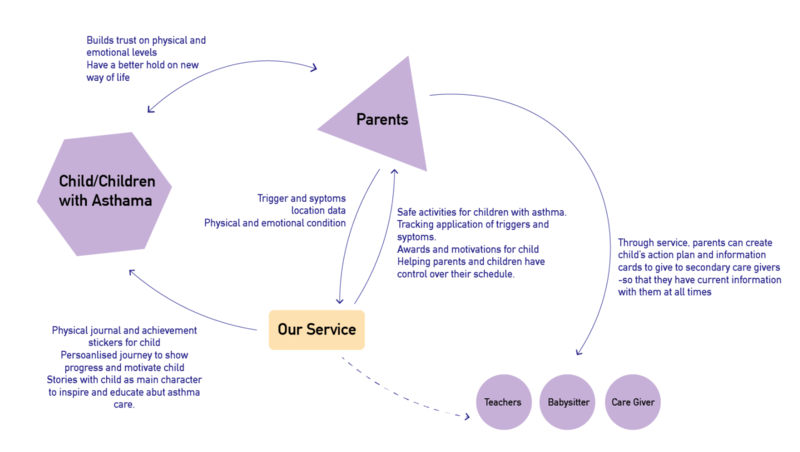 In 51-785, our team was commissioned by PHILIPS to support the transition of children (4–10 years) from parental management to self-management in their asthma care. 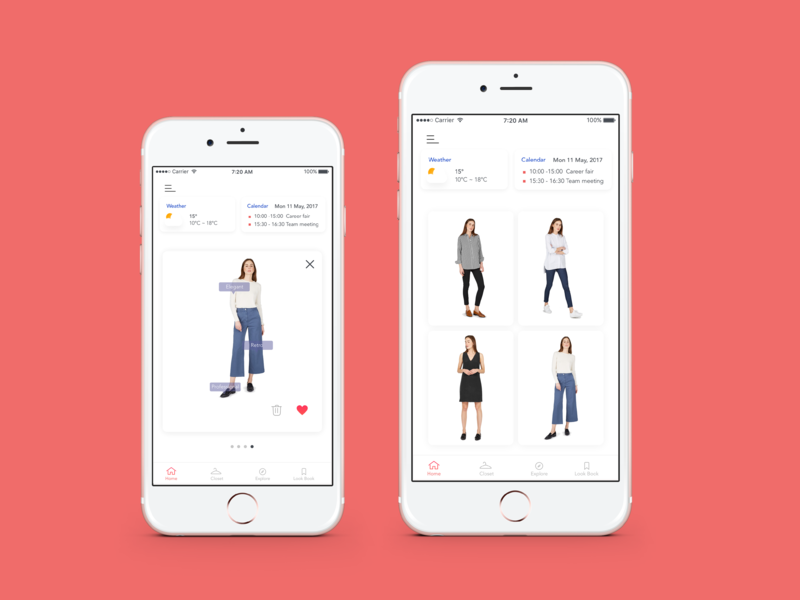 We designed a service along with a mobile app and a journal. We began to create "How Might We" statements to decide what type of information we wanted to share. 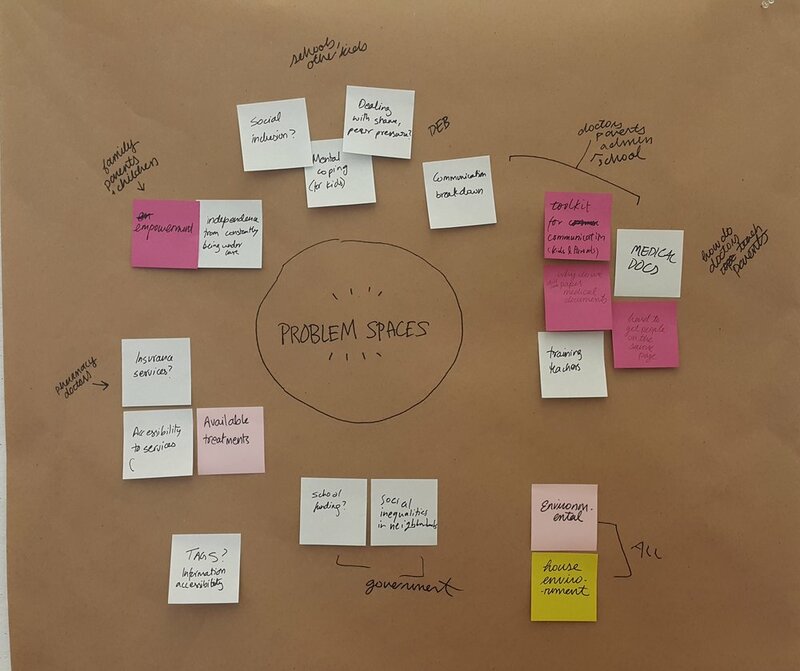 We asked ourselves questions including: What kinds of data do we want to explore? Could they be non-medical data such as workouts and asthma triggers? After mapping out our statements, we noticed that they were able to be grouped into empowerment, trust, and communication. We interviewed three people who had asthma in their childhood and asked them how they dealt with it during school and how they transitioned from parent care to self-care. We also sought families that were dealing with asthma management programs for their children to understand their problems. "My parents didn't know how to handle asthma." Children grew inhibitions about their own limitations. Accessing information: medical documents were still on paper and gleaning information was very difficult. We decided to further focus our service by mapping out the stakeholders and the values that they exchanged with each other. 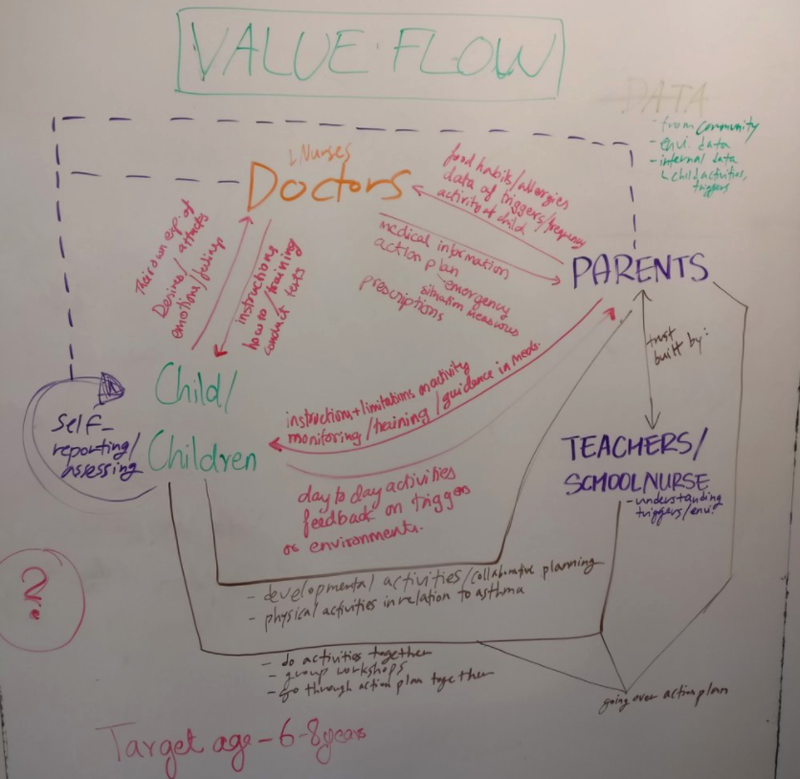 Through more brainstorming, we were able to narrow down our service into an onboarding service to provide children with both practical information and emotional support. We landed on many different specific service ideas on the way but soon decided to proceed with a pen-pal service that would provide a community for children with asthma. It would also serve as a mentorship program where children could encourage each other through letters and stories as they both have similar experiences in dealing with asthma as children. 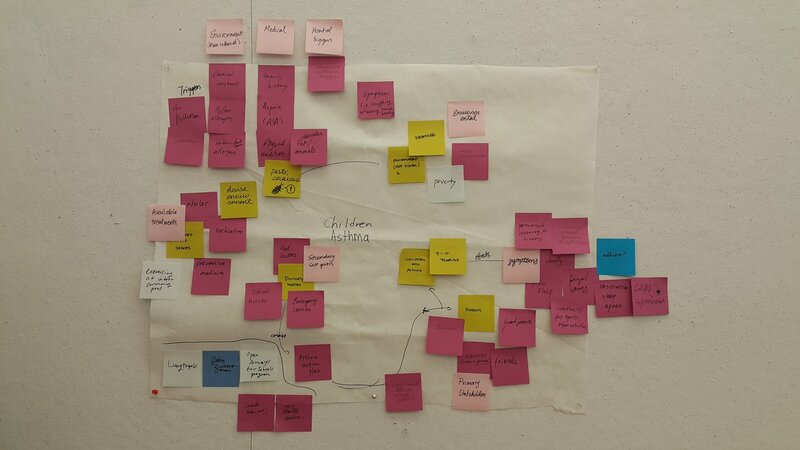 With this new service in mind, we recreated our value flow map. We realized the value of empowerment of children by allowing them to speak directly with the pediatrician rather than learning from their parents. 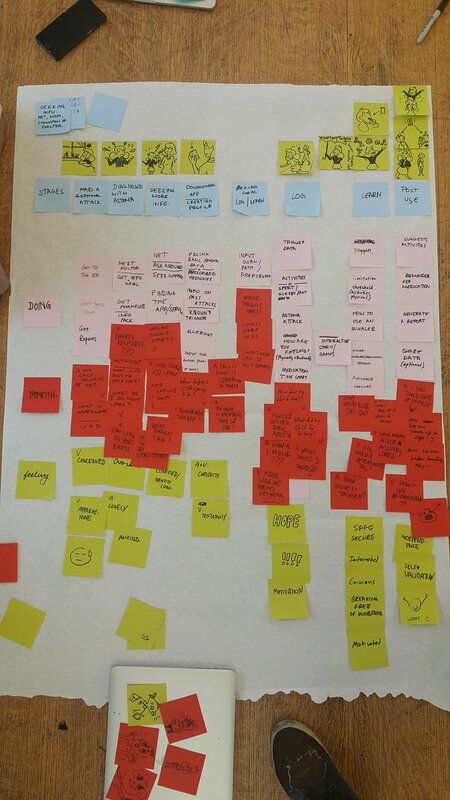 We then drafted our personas to further build our service and cater to these end users' needs and goals. The first storyboard (first row) displays the current journey without the service where the parents are "helicopter" parents and constantly keeps out eye out for their child. The second storyboard incorporated trust, acquisition of knowledge through professionals and a report that was sent to professionals. 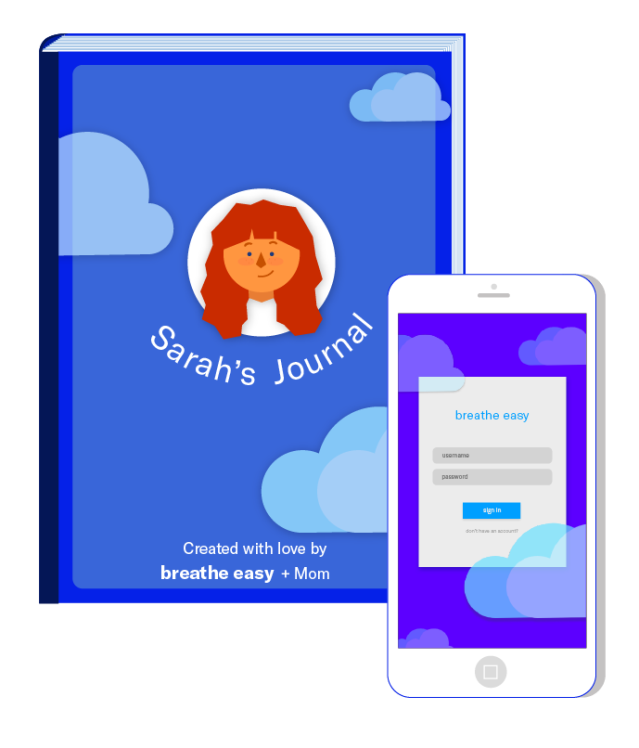 We were initially very excited about this idea because it would really empower the child and let them figure out their asthma and grow along the way. However, from THE feedback we received, we found that we were focusing too much on the touch points (care package and pen pal) and not the entire service. We realized that most of our interactions were, in fact, isolating the child from the parent; a situation we were trying so hard to avoid. We needed to focus on collaboration between the parent and the child as it is crucial to their growth and would lead to stronger trust and reliability between both parties. Then, we revised our scenario, using similar personas as before, but making it less about the onboarding experience and more about improving collaboration between the child and parents. 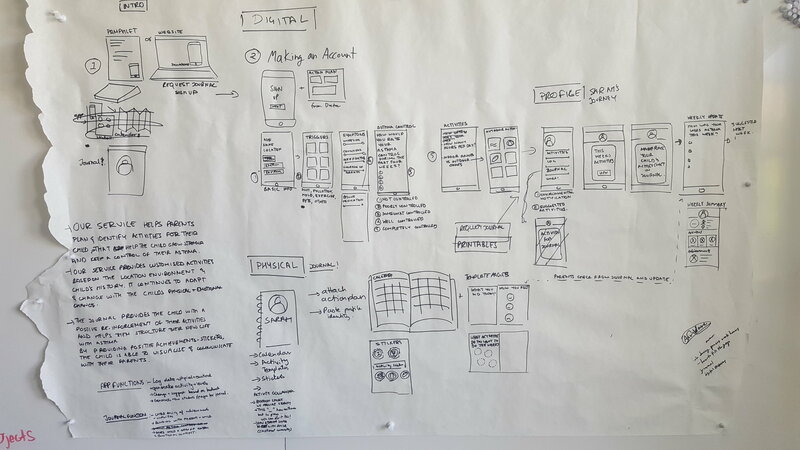 We frequently ideated between blueprint & journey map and went back & forth to finally nail down on our service. 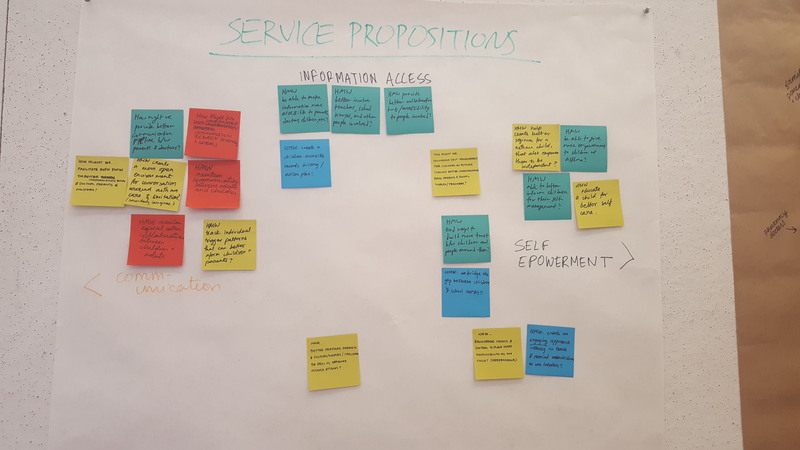 To double check how useful our service can really be, we shared our journey map and service values to actual target users. We were able to receive helpful feedback for important touchpoints. We learned that when children could not play their favorite games or sports, they became very anxious. They become self-discouraged because they are afraid of having an asthma attack when playing. It is also very difficult for parents to explain that attacks do not necessarily happen again under similar circumstances in a way for children to understand. We sought to understand how they related to images and illustrations to tell their story and how they share their day-to-day activities with their parents or adults in general. We sat with three children and gave them a selection of pictures to choose from as well as markers for them to draw their own activities they play on their own. As they drew and pasted images, we asked them questions regarding those activities they found most fun, who they played with and whether or not they played it indoors or outdoors. We then linked our storyboard with our new service blueprint and divided the different stages of our service to the categories: Discover, Sign up/Onboarding, During Usage, Exception Cases, Continued Usage. Using this blueprint, we laid out the parents' and child's user journey and the different step involved in each of these phases. 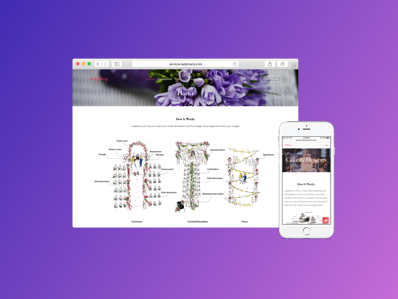 We wanted to make sure the various channels and medium came into play throughout our service. 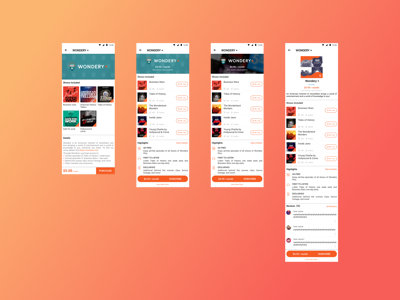 We also included all the backend processes that happen in our system in the service. 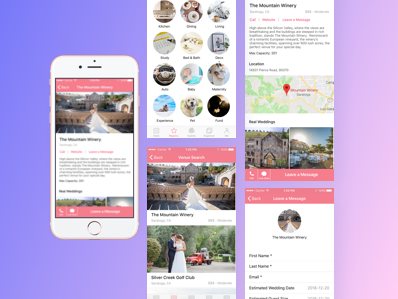 We sat down and created storyboards of our service highlighting major touch points as well as started wireframing the application component. We also developed the physical journal that would be given to the child to work in tandem with the phone app. Finally, we presented our service to our client, including a 3-minute pitch as well as a video of how our service worked. Personalized stories "Sarah fights the dust-mites"
Not being able to share and connect with the community.